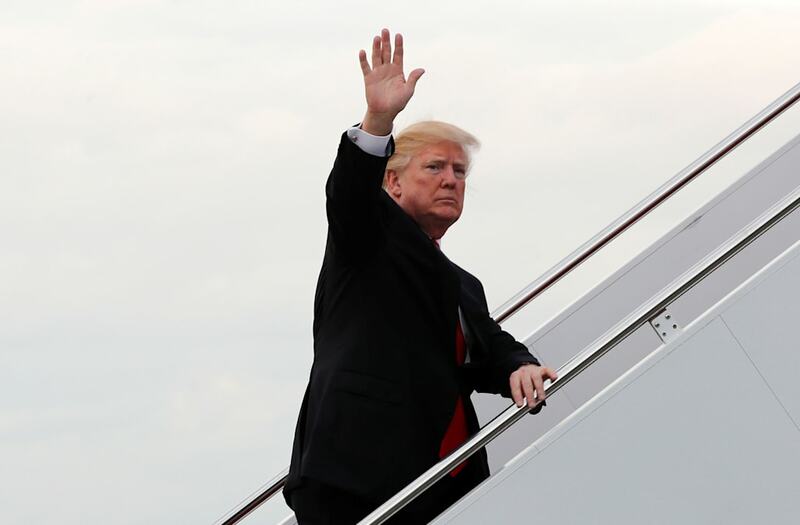 President Trump on Tuesday gave himself credit for 2017 being a noteworthy year in the world’s commercial airline industry, and Twitter was quick to point out that he had little to do with it. "Since taking office I have been very strict on Commercial Aviation. Good news – it was just reported that there were Zero deaths in 2017, the best and safest year on record!" Trump tweeted. While the statistic is true and certainly a reason for congratulations, Harro Ranter, the president of Aviation Safety Network, the organization that compiled the report, gave the kudos "to the continuing safety-driven efforts by international aviation organizations …and the aviation industry." Axios further notes, "There hasn’t been a fatal commercial crash in the United States since 2009…Trump’s ‘strict’ action on aviation involved backing a controversial proposal to privatize air traffic control nationwide, which stalled out in the House late last year, per The Hill." @realDonaldTrump OMG Give me a break. Are you seriously trying to take credit for that? @ResistGreed @realDonaldTrump Wait... so he's taking credit for planes not crashing?!? @realDonaldTrump I’ve read the report. Nowhere is your name mentioned as a contributing factor. Twitter wasn’t having it, either, with one user writing, "Wait…so he’s taking credit for planes not crashing?!?" and another stating, "I’ve read the report. Nowhere is your name mentioned as a contributing factor." Another simply mentioned, "A good leader takes a little more than his share of the blame, a little less than his share of the credit – Arnold H. Glasow."